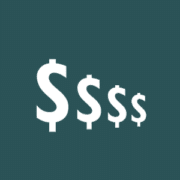 limited marketing budget Archives | Young Marketing Consulting - Results. Not Buzzwords. Although you might not be aware of it, your business is locked in a digital marketing arms race. And there are increasing signs that the ultimate victors will be those companies that can afford ever-increasing marketing investments. The declining reach of organic social media efforts, as social media companies grow revenue by prioritizing paid content. In the past, it might have been good enough to have a smart digital marketer in your department who could keep you afloat with efforts to drive organic traffic. But with digital marketing real estate becoming more expensive by the hour, the lion’s share of web traffic will go to those who can afford to invest the most in paid awareness, which will favor larger organizations. So where does that leave those of us with limited marketing budgets, marketing’s “middle class”? We may indeed be facing the death of the digital marketing middle class, but don’t worry, we’ve got three ways to survive and grow your marketing presence online. One of the biggest mistakes we see smaller marketers trying to make is stretching their efforts too thinly. If you have limited resources, it’s simply not possible to be present everywhere you might find a customer. And this is important to recognize, because successful marketing requires a certain level of impression volume to be effective. A good rule of thumb: you need to get your message in front of someone 7 times before it will register with them. It’s much better to execute a smaller-scale campaign very well and be very responsive to that particular audience than to try and boil the ocean. What does that mean in practicality? Scale back your social ambitions: You don’t need to be present on every channel (although you should reserve your account names just in case). Instead, focus on building a community and driving engagement on the one or two channels where your efforts can have the biggest impact. Be relentless about participating in discussions and responding to customers. This engagement will be key to building your audience. Tighten your geographic or market focus: Everyone wants an international business, but budget often gets in the way. If you can’t afford to reach everyone you’d like, focus on the areas where you’re getting the most return. That might be a few cities, or a particular industry within a larger market. Look for patterns, and double-down where you see results. Choose a keyword niche to dominate: Keyword targeting is the core of any good SEO strategy. But when you’re competing with companies that have an army of paid content writers on staff, the best way to drive organic traffic is to focus on a smaller keyword or search phrase niche and become the most visible resource in that particular space. As shown below, the top spot on Google captures approximately 30% of search traffic, with the top 5 results driving ~80% of traffic. 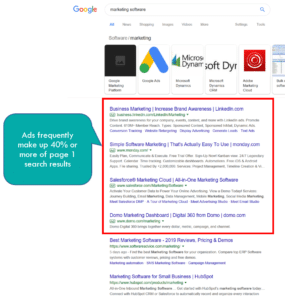 As we saw above, with Google Ads now comprising 40-50% of the listings on the first search engine results page (SERP), this means that, like it or not, you’ll need a paid ad presence on Google to keep your share of search constant. To do so cost effectively, be ruthlessly targeted with your ad keywords. Focus only on those that are the most relevant to your business and drive lead conversion cost effectively. Review your data weekly until you’ve settled your keyword list, and then focus on optimizing your spend appropriately to maintain position. One of the most overlooked resources in any business is its existing list of leads and customers. According to Forrester Research, growing business from your existing database is five times more cost effective than finding new customers. However old they are, these contacts are already favorably disposed to your business, and may just need to have an offer in front of them at the right time to convert. The trick to doing so is staying disciplined using the process below. Drill down on your non-responsive contacts – for those individuals who never open an email, does a phone call re-activate them, or have they left their company? A last note here – don’t worry about unsubscribes (unless they come in droves). Any lead who removes themselves from your mailing list is not someone who will purchase from you, and it lets you focus your attention on those who will. Roughly 6,829 marketing software tools exist as of this writing, and that number is surely growing by the minute. 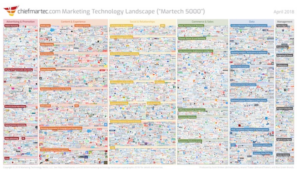 ChiefMarTech.com’s Marketing Technology Landscape in 2018 – that’s a lot of software! Such a high volume of tools can make it difficult to allocate your software budget. Worse, you might feel that you have to purchase a certain tool in order to drive results. With that in mind, here are the ways in which we recommend prioritizing your marketing software spend (and what we recommend getting for free). Website CMS/Lead Capture: Your marketing won’t be effective if it’s not bringing people in the door, and for most of us, this means our web presence is critical. While any software that will help you capture leads (landing page/form software, chatbots, etc.) can certainly help, there are a number of free CMS tools like WordPress available that will get you started. Email Marketing and Automation: Once you’ve captured a lead, it’s time to drive that lead to conversion. And to do that, you’ll need email to stay in front of them. The best email marketing tools include marketing automation that can execute campaigns based on a lead’s behavior. Web/Campaign Tracking and Analytics: Google’s Marketing Platform is the most effective platform for tracking campaign performance and web traffic, and it offers a robust suite of free tools. Combined with Google Search Console and Google My Business, you won’t find a better combination. Search/Social Media Marketing: it’s not always ideal to manage campaigns across multiple platforms, but the free built-in tools for most of the major networks (Google Ads, Facebook, LinkedIn, Twitter, etc.) are more than robust enough for daily use. CRM: Leads and contacts are the lifeblood of your business, and a system to organize them is essential. A well-configured CRM system will also support your sales and marketing activities operations through list management, lead tracking/scoring, automated processes/reminders, and more. Many CRMs provide some level of email marketing capability as well. From this point forward, your choice of software will depend on your budget, your operational requirements, and where you can drive the biggest return by becoming more sophisticated. But if you start with the five essential marketing software tools above you’ll be building a solid foundation. We hope that you’ve found the above helpful in prioritizing your marketing investments. Good luck, and if you’d like to discuss how this approach might work in your business, please contact Young Marketing Consulting today.